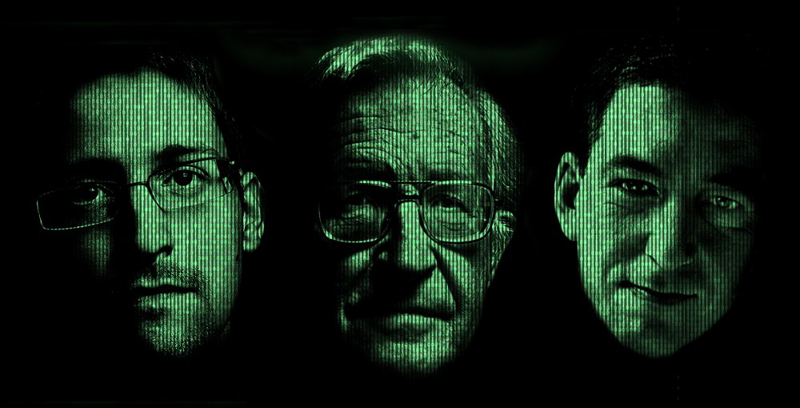 The balance between national security and government intrusion on the rights of private citizens was the topic of a panel discussion featuring renowned linguist and MIT professor Noam Chomsky, NSA whistleblower Edward Snowden, and Intercept co-founding editor Glenn Greenwald. Nuala O’Connor, president and CEO of the Center for Democracy and Technology, acted as moderator. The event was hosted in Tucson by the University of Arizona College of Behavioral Sciences on Friday, March 25, 2016.